Energy systems are evolving with traditional users acting as both energy producers and consumers. 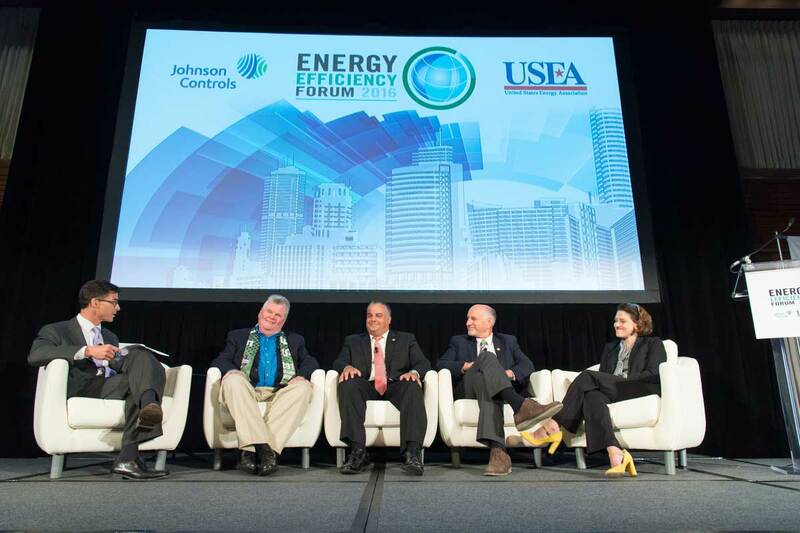 This type of energy efficiency innovation was highlighted at the 2016 Energy Efficiency Forum in Washington, D.C., on June 23 at the National Press Club co-sponsored by Johnson Controls and the United States Energy Association (USEA). 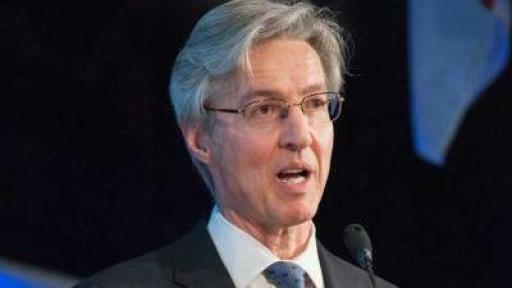 The event featured influential thought leaders in the energy sector, including representatives from the Environmental Protection Agency (EPA), U.S. Senate and Public Service Enterprise Group (PSEG). The forum also included a review of the 2016 Energy Efficiency Indicator Survey conducted by Johnson Controls. One of the key findings reveals that planned investment is at an all-time high. 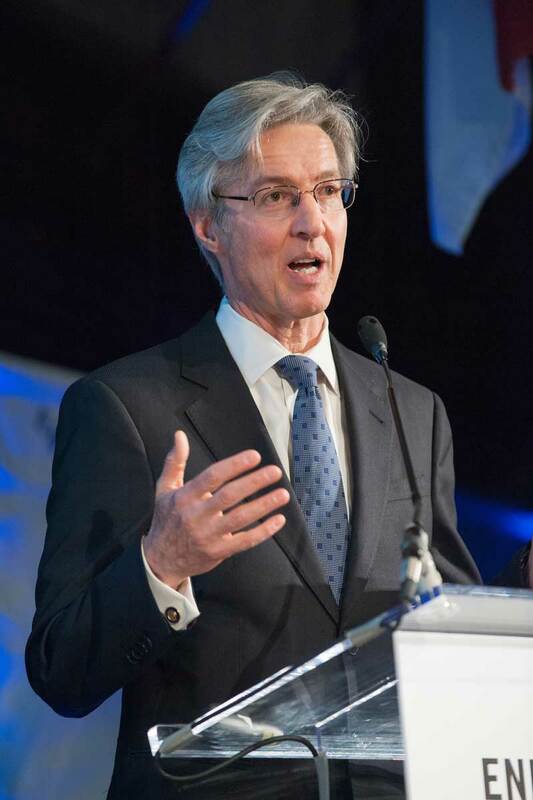 President, chairman and CEO of Public Service Enterprise Group (PSEG), Ralph Izzo, discussed the importance of balancing energy regulations: “There are four winners in an intelligent balanced efficiency energy regulation,” Izzo explained. “The first is the consumer, the second the supplier, the third the environment and fourth the utilities. The challenge in creating regulations is balancing all four to work together to be effective. At the legislative level, U.S. 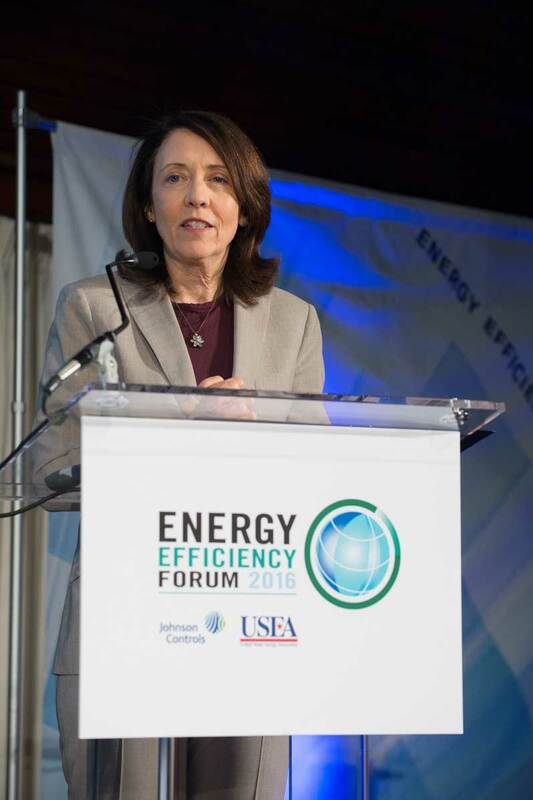 Senator Maria Cantwell (D-Washington) discussed efforts to accelerate the adoption of smart building technologies and the impact of energy bills that focus on these technologies. “The new smart building focus has enormous potential for energy savings, high-paying jobs and the stimulation of economic growth,” she explained. 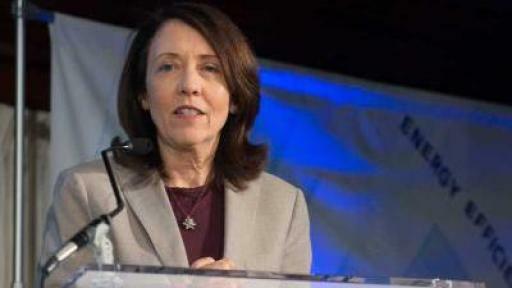 Cantwell highlighted the ability to integrate these technologies with other systems to help insulate consumers and investors from power outages, price fluctuations and other challenges. The forum also brought together mayors and former mayors from across the United States to discuss a variety of energy-saving measures their cities are taking, including hydro-electric power, electric bikes for transportation and LED lights to reduce light pollution. 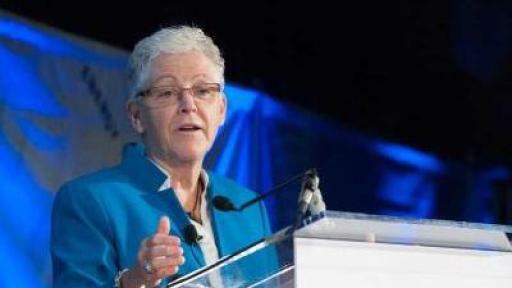 The mayors on the panel agreed cities like theirs play a key role in U.S. leadership on climate change. “The local level, I think, is the level where we are going to find the answers, share them, emulate what is successful, avoid what is not successful and come to a solution,” said Greg Nickels, former mayor of Seattle. 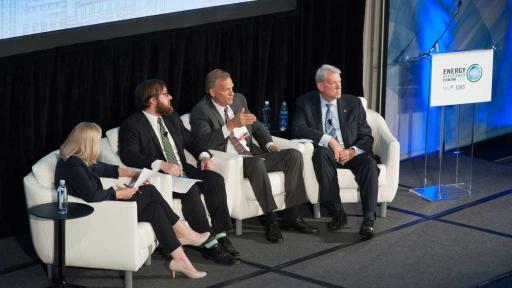 Innovators and technology leaders from 1776, 38 North Solutions, Covestro and Essess rounded out the event, sharing the private sector’s energy advancements, including solar power, wind power and technological advances in energy efficiency. 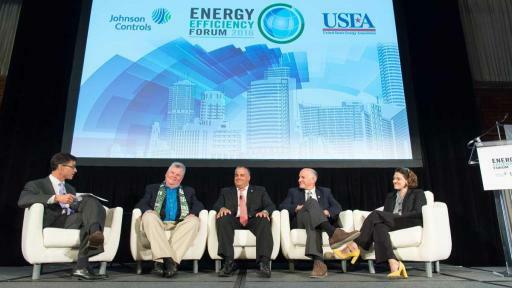 The Energy Efficiency Forum is a nonpartisan, noncommercial event that raises awareness for the many benefits of energy efficiency in buildings and transportation. 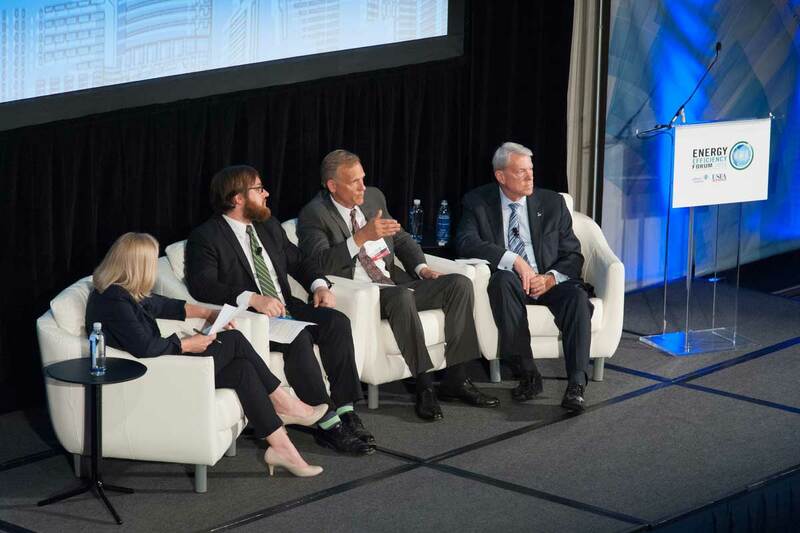 This year’s forum, Energy Efficiency: “Driving Innovation,” highlighted the pioneering policies, technologies, and practices at the center of a future that values energy efficiency as a key driver of energy system innovation. For a streaming update of event photos and quotes, check out #EEForum2016, follow @JCI_BEnews and visit www.johnsoncontrols.com/eef . Johnson Controls’ Building Efficiency has an unmatched portfolio of HVACR products and solutions to create more comfortable, safe and efficient buildings. Operating in more than 150 countries through a strong network of distribution channels, Building Efficiency’s breadth of offerings help building owners, operators, engineers and consultants impact the full lifecycle of a building. Its market leadership is established through trusted brands such as YORK®, Sabroe® and Metasys® as well as its smart building integration capabilities and energy financing solutions. For more information, visit www.johnsoncontrols.com or follow @JCI_BEnews . 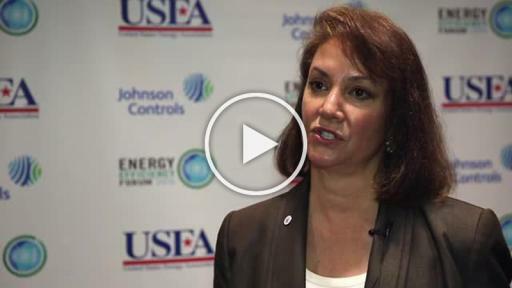 The United States Energy Association (USEA) is the U.S. Member Committee of the World Energy Council (WEC). USEA is an association of public and private energy-related organizations, corporations, and government agencies. 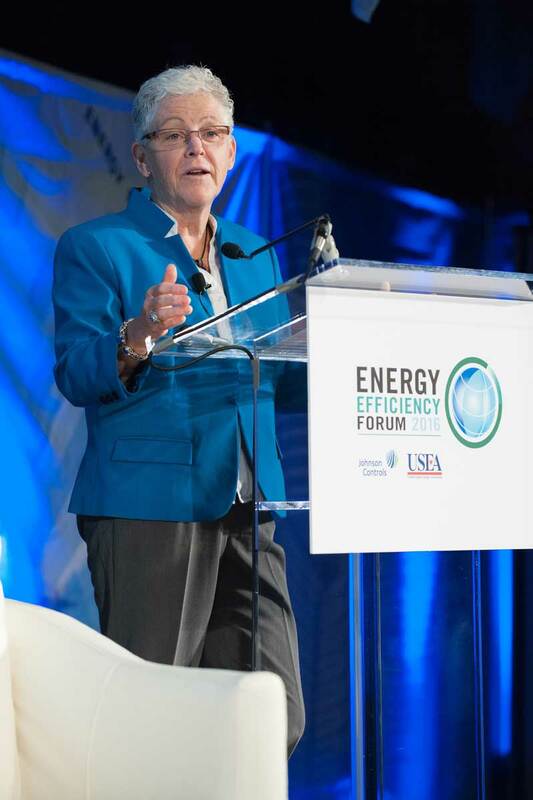 USEA represents the broad interests of the U.S. energy sector by increasing the understanding of energy issues, both domestically and internationally. For information, visit www.usea.org.